The Cash LoopHole Review - Another Scam? Yes! Find Out Why! The Cash LoopHole Review – Another Scam? Yes! Find Out Why! Each one of us wants to wrap our arms around loads of easy money. We all have at some point in time been attracted by all those enticing offers and short-cuts promising quick money. One such thing which you must have come across in your never ending quest for money is The Cash Loophole Software. Right? Well, certainly yes! That is what has brought you to this page. So read along to know more about Cash LoopHole System. 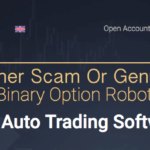 The Cash LoopHole is a binary options robot which claims to win every trade. Mr. Richard Sellars who appears in the pitch video claims that his software uses a very unique algorithm that manipulates the loopholes in the trading systems to the traders’ advantage. Stellar claims that his Auto trader takes advantage of the ill-practices in price manipulations employed by unscrupulous brokers and using it gives a success rate of over 92%! Whoa, that’s really too much to handle. If you are an experienced Binary options Trader, what do you reckon out of this claim? If I am not wrong you must also have felt skeptical about it Right ? YES!! 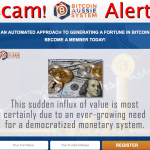 Its yet another SCAM. How did we reach to this conclusion is for you to find out, so continue reading..
What makes the Cash LoopHole System a SCAM ? This guy Sellars, the CEO of The Cash LoopHole along with his partner Kevin are here to fool gullible and unsuspecting people of their hard earned money. The very first thing to have pulled you towards the Cash LoopHole Fraud, must be the “ Exclusive” invite to TheCashloophole.co in your inbox and you must have started feeling special. Did you give them your Email ID anywhere? Hmm, smells of spam. Next to appear to you is the Very “Strange” video. 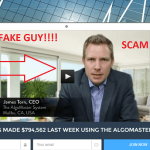 The guy introducing this software( Sellars) is so shy or rather privacy conscious that he prefers not to show his face in the video!! We agree that one to should try to be different and that’s important in Business, but pity the scammers’ not-so-brilliant mind that to induce innovation in their project, all they could come up with is this video err audio sorry presentation or whatever. The video is replete with tall claims and little substance to back them. There is no evidence to whatever they boast of. Just a handful of poorly photo-shopped images depicting millions of dollars in Sellars bank accounts and others do not render ingenuity. The bank account details like account number and name are all blurred out, and they want us to believe in it.What a joke! A legitimate company would have accreditation and its CEO would have some Social standing or atleast a public profile, not in this case. Would this lend credibility to this software in any way? We don’t think so. All that the video does is to conjure the greed in you (not just you, we all have it). People appearing in the scenes are overly shown doing the same stuff, the voice in the background is speaking about. Despising other scammers looks ironical too. Speaking about the “offers” now. They offer you $1000 as signing-up bonus upfront! Yet another clue, why you should not fall in their trap? How can someone give out that much money to random signups. In every possibility, the Cash LoopHole may be the reincarnation of an older exposed scam which has resurfaced under a new Banner. False promises you should watch out for! Firstly, they claim a success rate of 92%, which is a foolish claim to make and a really optimistic one. No legit trading app can deliver such high rates, experience and research tells this. Secondly, they promise to give away $50,000 as matching-bonus in exchange of your money. Nothing is free in this world, and $50K can absolutely not be free ever! Another one coming up- they say that you can rake in big money,” $1987 in just three hours”. Lets put it straight its just not possible to turn your $250 trading capital into thousands of dollars in a matter of a few hours. Its well-known that making profit in Binary options trading is not so easy. Its time consuming and even if you are very lucky, you can definitely not make huge money as profits without investing an equally good money and Winning majority of your trades consistently. This is testified by many negative user reviews that we’ve inspected before writing this review. There have been cases where people have invested good amounts and are now running door to door seeking help in getting their moneys back. And here comes the beauty of a lie- You are told that you’d be refunded twice your initial invest should you fail to make profits. One must ask, how would you claim that money, unless you have a legal contract-of-sorts to bind them. Basically, its the design by fraudsters to project as if there is just no risk whatsoever in investing and if there is at all, its minimal. Conclusion – The Cash LoopHole Is 100% Scam! This is a big fraud and do not fall for their trap. The quintessential tear-jerking testimonials and video messages interspersed with white lies and good-to-hear music in the background are ingredients to an old recipe call SCAM. 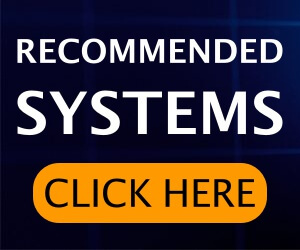 You can check top 5 signals services which are sorted according to their performance. I hope this Cash LoopHole review helped you in taking right decision. 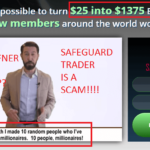 SafeGuard Trader Review – Another Scam Software!! 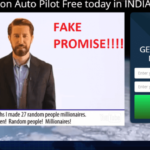 Fast Cash Club Review : Keep Distance from this Scam! !